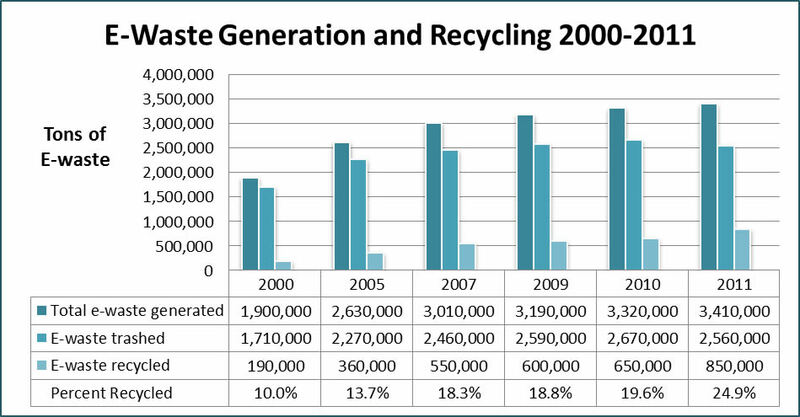 The figures come from “Municipal Solid Waste in the United States, 2011 Facts and Figures,” a report the EPA publishes annually waste from residential, commercial and institutional sources. 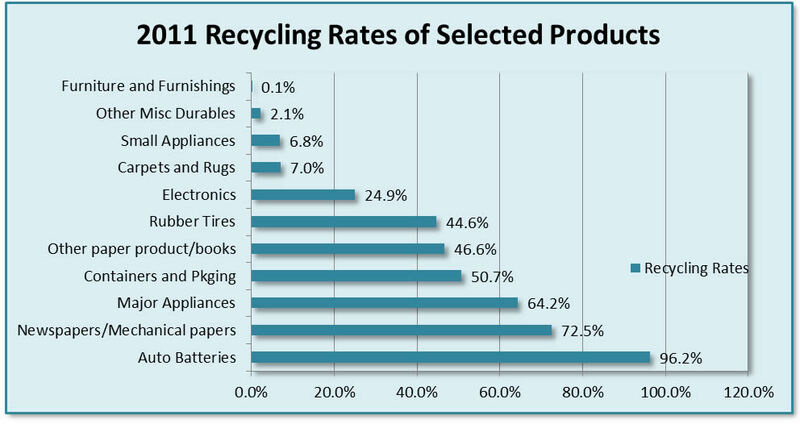 The report shows that the e-waste recycling rate is considerably smaller than for some other product categories, summarized in the chart below, including auto batteries (96.2% recycling rate), major appliances (64.2%), and tires, (44.6%). Significantly, these are all product categories where the retailers play a major role in taking back the products, often when replacements are purchased. The report does not represent all e-waste generation, but represents “selected consumer electronics” which include products such as TVs, VCRs, DVD players, video cameras, stereo systems, telephones, and computer equipment.